Blaise quickly ate his lunch and stormed into his dorm he shared with Draco and Theodore. He kicked his foot into the beside table and swore.
" Come on, the food wasn&apos;t that bad" He heard Theodore say. " It&apos;s not the food. It&apos;s....that bloody Weaselette!" " Weaslette...? Oh you mean the Weasel&apos;s little sister? The bloodtraitor...." Blaise turned his head towards and looked at Theo with a murderous look.
" Don&apos;t you call her that!" He spat. Blaise was so confused, if it was a year ago he couldn&apos;t care less about whom she spoke to. He wouldn&apos;t care about how she looked like, especially not that fire red hair. And those brown eyes. But now, he gets pissed as soon as she talks to another guy who isn&apos;t him. Not that he and Ginny actually talks. They&apos;re just bickering or something like that, but still. Where was that blonde ferret when you needed him?
" Where&apos;s Draco, Theo?" He wondered. Theo just shrugged. " Don&apos;t know. He said something about talking to someone. I don&apos;t know who though"
Hermione had a quick lunch and was walking to another class she was going to have in a few minutes. But she wanted to feel the sun against her skin before sitting in a boring classroom with professor Binns. She decided to sit down under a tree and feel the sun warm her skin.
" How was lunch, Granger?" She immediately flew up from the ground and searched for the voice. But she couldn&apos;t find it. First she thought it was only her imagination that tricket her.
" Up here!" She turned around looked up in the tree, of course Draco was sitting there and....checking her out...? She was so nervous now. She thought he wanted pay back after their last meeting. She picked up her bag and was starting to back away slowly.
" Hey" he said with a pleased smile on his face. &apos; He dosen&apos;t seem to be mad. And that&apos;s good&apos; Hermione thought. The whole thing felt quite awkward because she still hadn&apos;t said anything to him. Suddenly he jumped down from the three and stood infront of her.
" No need to be afraid, honey. I was just asking if you liked the lunch" He said with a small smirk on his face.
" What do you want?" She finally said. " I mean really. 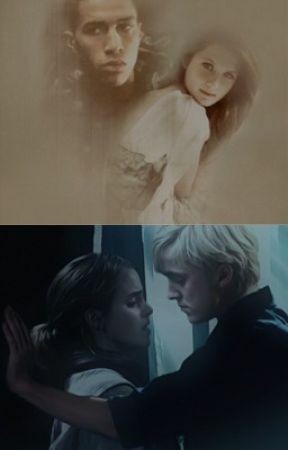 You&apos;re around me all the time and refuse to leave me alone"
" You should feel flattered, Granger. You&apos;re the only girl I&apos;m treating like that"
" I pity myself than feeling flattered" she said and rolled her eyes. " Besides, Astoria his hanging over you like her life depends on it"
" Well what can I say? I&apos;m hard to resist"
Hermione snorted and started to laugh. It was the most funniest thing she had heard on the whole day. " Hard....hard to...resist!" She laughed her head off, almost.
" I&apos;ve never met someone that is just as self centered as you are. And you actually thinks that any girl would fall down on her knees and kiss your stinky feets until you say &apos; That&apos;s enough babe. Now let&apos;s go to the bed&apos;"
Draco was totally startled, not because she wasn&apos;t afraid to speak out, he already knew that. But for she was right. And that scared him. Alot.
" 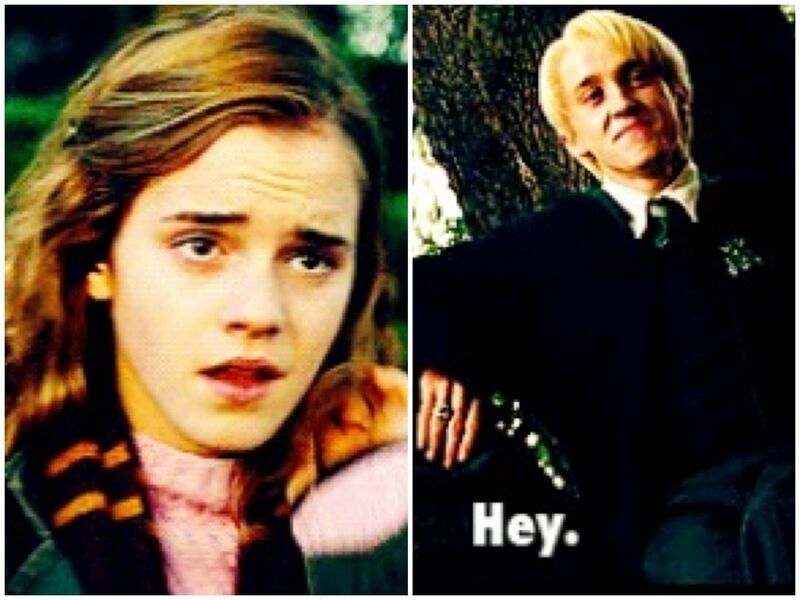 If there&apos;s someone here who actually have a problem, it&apos;s you"
" Because it&apos;s YOU who can&apos;t resist ME"
With that she walked away, and left a startled Malfoy behind her.